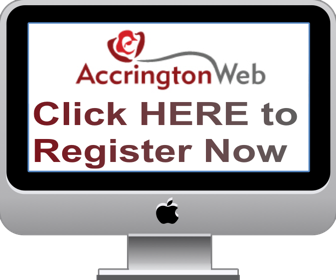 Re: Wellington Bomber production in Accrington? Sorry no pictures. Still having problem with uploading them. In my original post the photos were all shown as a line with IMG etc, but after posting they wern't shown? There is sometimes a glitch using the gallery. At last I've got the photos in ok, but not my text! 1) how big was the factory? As you can see it was at least 1 mil sq, ft.! 2) The 2 buildings which can be seen are 2 from 5 in total, plus the office block, canteen and outbuildings. 3) Someone mentioned that they can remember driving employees to and from the factory. The bus station was behind the wall, where now a grass verge and trees can be seen. P.S. Less thanks for the tip on uploading the photos. I have a photo of my mum on what I presume is a works outing. Before the war, she worked at the cotton mills before moving to H&B to "rivet Wellingtons" as she would put it. As such, I'm not sure whether it is a Mill outing or an H&B trip; they both must have given the workers some breaks; also I had heard that H&B looked after their workers. Here is another photo of Honora and Margaret (both on the right) which, I believe, was taken near to their house in Plantation Road. Margaret lived in Huncoat and married a gentleman called Harold but I'm sad to say that I've left it too late to find out anything more about them, except that they moved to Towneley Avenue. I have lived in Huncoat for 64 years and I am about the same age as the two lads. Teddy, yes they are called Cullen....and Mike(Norah's Lad) will be delighted to hear that. Mike is without internet access at present, but when he is back online I am sure you will hear whoops of joy from him. You are going to be the flavour of the month for that information. Many thanks for that Margaret but I think that your finger may have slipped once again from the,A to the E, button; Ha,Ha, Taddy, not Teddy. Sorry about that....predictive text....and i did not spot it until it was too late. I am currently on holiday, hence the limited internet access, and have just popped in as the internet link is quite expensive. That really is fantastic news and, if my memory serves me correctly, my cousin's names are John and Raymond. Does that match with your information? Interesting... I sometimes work in the Junction 7 buildings, was that where they made Wellington Bombers? That will be an interesting conversation next time I'm there. The place is quite antiquated now, the buildings have fallen into a lot of disrepair (some to the state of being dangerous) but are still used, mainly as warehouses etc. That is exactly right Mike,although I have not seen either of them for a few years I am sure that they still both live on Burnley Lane in the village. Enloy your holiday, Your's Taddy. Going through the main entrance, this was the first main building on the left. This was the machinery dept. e.g. Milling, turning, drilling etc. The first main building on the right (after the office block). This was where the wings, tailfins etc. were being produced for the Canberra and lightning aircraft. Later fuselage skins for the TSR-2. Probably also Wellington Bombers. Further on behind A-Shop. Also, aircraft parts for various aircrafts were made here. Further on and behind B-Shop. Sorry forgotten what was made here. Norahs lad here’s a bit of info for you. My dad joined the RAF initially as an aircraft electrician but volunteered for aircrew as they got paid more. He trained as an air gunner and flew missions on the Wellington as the tail gunner. The aircraft geodetic framework was designed by Barnes Wallis. It was said because of the framework many Wellingtons got back badly shot up from raids that would have downed other aircraft. My dad once described coming back from a raid in an aircraft made up of holes held together by some fuselage. My uncle Bill was in a reserved occupation and worked at Howard Bulloughs which used to make textile machinery but during the war years did indeed make precision machined parts for a number of military vehicles/ guns/aircraft and as such the place and people who worked there were vital to the war effort. If the buildings at junction 7 have not changed much (and they do not appear to) then making the bombers would have been hard work. It's freezing in the winter and stifling in the summer in those units. They did have great big gas heaters in the ceiling but they look really inefficient. thanks for this, it all helps towards learning what went on way back then. An interesting little update on this, I do voluntary work at the Helicopter Museum in Weston Super Mare, Somerset. Last Sunday, one of the visitors was a gentleman who was visiting from Blackburn. When I explained that I was from Accrington, and that I was recently querying Wellington Bomber production up there, he said "my dad used to work at Howard and Bulloughs and he worked on Wellingtons". I thought 'what an amazing coincidence' to meet someone like this and so far from Lancashire. However, before I could get to talk to him any further, he got dragged away by family and was gone! Last edited by Norahs Lad; 16-10-2018 at 11:01.